DETROIT -- Chrysler Group CEO Sergio Marchionne said today the company will keep its Sterling Heights assembly plant in suburban Detroit open indefinitely instead of closing it after 2012, as previously planned. The company plans to build the Fiat-based successors to the mid-size Chrysler Sebring and Dodge Avenger at the factory, Marchionne told reporters today on the sidelines of President Barack Obama's appearance at Chrysler's Jefferson North Assembly Plant. Chrysler will introduce refreshed versions of the current Sebring and Avenger later this year as 2011 models. Chrysler's five-year turnaround plan – unveiled last November - calls for those models to be replaced in 2013 by vehicles based on Fiat's Compact Wide platform. While those replacements are in the works for 2013, Chrysler will hire 900 workers and add a second shift at the Sterling Heights plant in the first quarter of 2011 to build the refreshed Sebring and Avenger models. 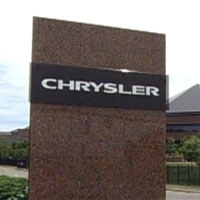 Chrysler said suppliers will add another 500 jobs to support the additional production shift in Sterling Heights. Marchionne also said that Chrysler expects its European and South American sales to double between 2010 and 2011, to nearly 200,000 units. He said the increase in sales reflects Chrysler's ability to leverage Fiat's international distribution networks, particularly in those markets. Italy's Fiat SpA acquired management control of Chrysler last year as part of a bailout orchestrated by the federal government.